Place corn in a large bowl; lightly crush with a potato masher. Stir in the chicken, egg, milk, butter, salt and pepper. Combine flour and baking powder; stir into the corn mixture just until combined. In a deep-fat fryer or skillet, heat 2 in. of oil to 375°. Drop batter by 1/4 cupfuls into oil. Fry for 3 minutes on each side or until golden brown. Drain on paper towels; keep warm. In a large saucepan, melt butter over medium-low heat. Stir in flour and seasonings until smooth. Add chilies. Gradually stir in milk. Bring to a boil; cook and stir for 2 minutes or until thickened. 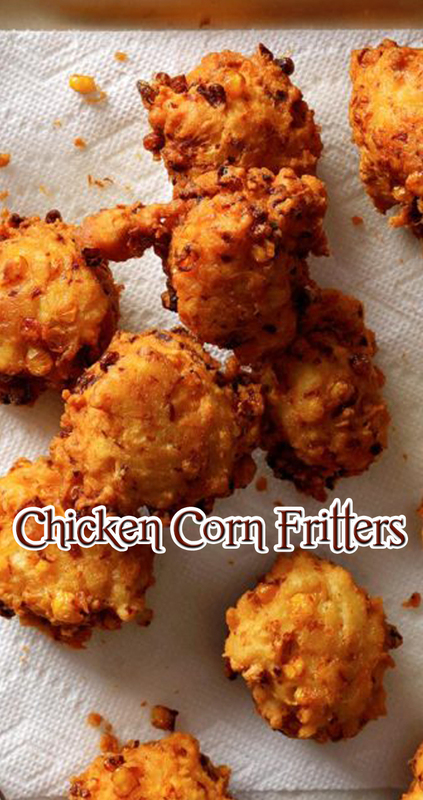 Serve with corn fritters; sprinkle with cheese if desired.